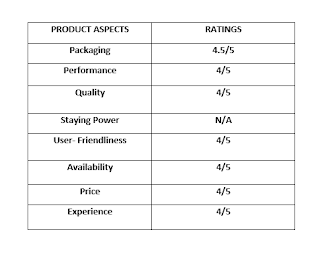 Here's a review on Tony Moly Naturalth Goat Milk Moisture Toner and Moisture Cream. Of all the animal milks in the world, Goat's Milk is probably the most precious that there are dedicated brands and skin care lines to it. Because Goat's Milk is rich in triglycerides and fatty acids, with the latter having a unique pH that is similar to humans, making it universally compatible with almost any skin type, most especially sensitive skin. Goat Milk is very rich in Vitamin A and Selenium, and has AHA (Alpha Hydroxy Acid) that helps slough off skin; to top it all, it's very moisturizing and hydrating as well that's why it's highly recommended for dry skin. 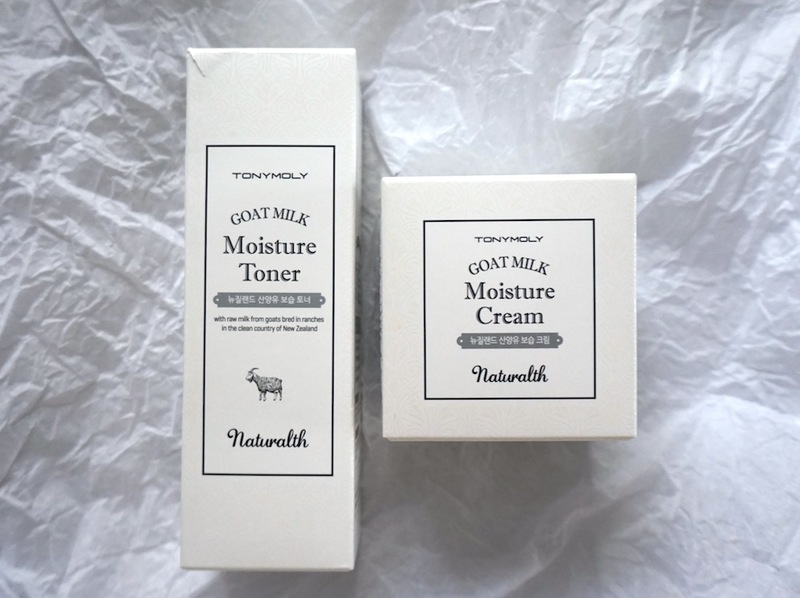 I've used Goat's Milk skin care for a month and it did wonders to my skin, and the skin care is Tony Moly Naturalth Goat Milk Moisture Toner, a highly moisturizing and nourishing range. This mild, sensitive skin- friendly moisturizing range is made with at least 30-50% Goat's Milk extract from New Zealand; it is made even more moisturizing and hydrating with Hyaluronic Acid; it also has a whitening counterpart. Moisture Toner has 30% Goat's Milk extract and Hyaluronic Acid. It softens skin and prepares it for the next steps of your skin care routine. I love the vintage milk bottle- inspired packaging! It's pretty heavy though, but it spruces up any dresser! This hydrating, milky toner softens away dry areas upon contact; it feels really nice on the skin and leaves my face feeling really fresh; it actually feels like an emulsion and has a light creamy floral fragrance. I like that it boosts moisturizers and the formula anchors moisture onto my skin longer. Moisture Cream comes in a cute, jar and with a spatula; packaging reminds me of yogurt! Moisture Cream contains at least 50% Goat Milk extract and is superbly rich, creamy, and soft; a dollop goes a long way and its scent is similar to the toner. It gets absorbed well into the skin while leaving an ample, moisture barrier to protect the skin from drying out. I've been using the toner and cream for 2 months straight and I've noticed an increase in the suppleness, elasticity, and smoothness of my skin; no break outs because the product does a good job at keeping my skin moisturized and healthy- looking, plus formula is gentle. However, if you have allergic reaction to milk, please do a patch test first. Goat Milk Naturalth is a nourishing range that's ideal for normal, combination, and most especially, dry skin types. Again, Goat Milk is generally good for sensitive skin, but I'd still advise you to consult with your doctor/dermatologist first before usage. Please visit TONY MOLY PHILIPPINES on Facebook for more information about these products. Ang ganda kaso ang mahal! I thought it's a package. You have to get both products pa naman to get the best result for the skin. Any other recommendations that is much affordable, Miss Martha? You are still beautiful kahit walang make up Ms. Martha. I have tried Goat Milk from The Skinfood when I was pregnant with my first child, wayback 2007. I applied it on my tummy, tapos hindi ako nagkastretch mark. Good moisturizer talaga ang Goat Milk. I really do love Korean toners because of its consistency... very much different with the usual watery / smell alcohol ones. I am still using my Etude House's emulsion and toner and my next one will definitely be this. I tried The Cream Factory body wash came from goat's milk this one is good, dessert for my skin. I haven't try this one. Wish it had a smaller one so I can purchase it both and give it a try..
Wow! Hope to get this soon. Need to get my skin moisturized! Ang nice nung effect sa skin mo. I can see that it gave you a moisturized glow. but since you already used this one straight for two months, naisip ko maybe this one is really that good, I havent tried any from Tony Moly and if ever I want to try their skincare line and I will include this one to my "list of things/products to try"
two thumbs up for the honest review Ms M! does anyone know about Tony Moly naturalth goat milk body wash? 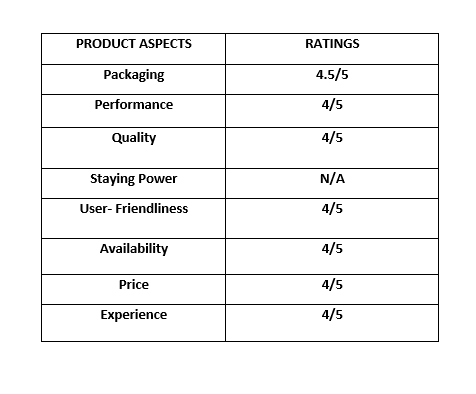 is it a fake products?